Dr. Waller specializes in bone marrow transplants for acute leukemia, myelodysplastic syndrome, myeloproliferative neoplasms, lymphoma, aplastic anemia, sickle cell disease and in the management of graft-versus-host disease. A leading bone marrow transplantation doctor and researcher, Dr. Waller has pioneered research to improve long-term outcomes and quality of life for patients after transplant. Edmund K. Waller, MD, PhD, FACP, is board certified in hematology, medical oncology and internal medicine. 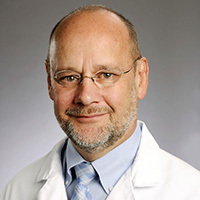 Dr. Waller is a practicing physician with Emory Healthcare since 1995. He specializes in bone marrow transplants for acute leukemia, myelodysplastic syndrome, myeloproliferative neoplasms, lymphoma, aplastic anemia, sickle cell disease and in the management of graft-versus-host disease (GVHD). He is also an expert in CAR T-cell therapy. Dr. Waller holds memberships with American College of Physicians, American Society for Blood and Marrow Transplantation, American Society of Clinical Oncology, American Society of Hematology and International Society for Experimental Hematology. Dr. Waller earned his undergraduate degree from Harvard University, his medical degree from Cornell University Medical College, and his PhD in chemical biology from Rockefeller University in New York, New York. Dr. Waller completed a residency in the Department of Medicine at Stanford University in Stanford, California. He then went on to complete a clinical fellowship in oncology, as well as a research fellowship in pathology at Stanford University. Dr. Waller's research focus is in enhancing immune reconstitution after stem cell transplant and anti-tumor immunology. He has research support from the National Institutes of Health, The Leukemia & Lymphoma Society and National Marrow Donor Program. Dr. Waller was listed as one of Atlanta Magazine's "Top Doctors" in 2015-2018.